Towards the end of 2015, it would be unjustified on my part to not analyse the performance of housing societies that left us surprised in terms of consistent demand and price rise recorded during the year. 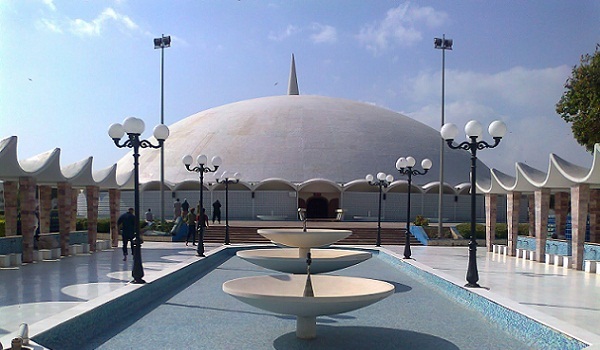 In Karachi’s case, Zameen.com stats show that property rates inched up across major areas of Karachi with the exception of Bahria Town – a project currently facing lack of investor interest. According to the portal’s stats, impressive price gains were seen in Gulshan-e-Iqbal, DHA and DHA City. Since DHA has been on top of Zameen.com’s search trend ranks, I have decided to share with you the portal’s findings on this particular housing society. Being Karachi’s most popular housing project, it genuinely interests investors to check which phases and blocks are more in demand and thus poised to fetch better bargains. Despite the fact that the search trend stats I am about to share are from 2015, they can give you a close idea of which phases and sectors could remain more popular among buyers in 2016. During 2015, DHA Phase VIII remained on the top of our search trends ranking, followed by Phase VII and VI at second and third positions. In Phase VIII, the biggest chunk of people browsing Zameen.com’s property listings in 2015 were interested in property listings of Phase VIII Extension while at the second and third slot we had Sector E and Sector D, respectively. In Phase 7, the top three most popular areas were DHA Phase 7 Extension, Sehar Commercial Area and Jami Commercial area. For Phase 6, too, most of the people were interested in commercial plots, with Bukhari Commercial Area at the top, followed by Ittehad Commercial Area and Muslim Commercial at number two and three. As recorded by Zameen.com, prices of properties in DHA Karachi continued to inch up throughout the year. Not just that the price rise was somewhat even in the top three phases, the recorded stats were also very impressive. In January 2015, average price of 500 yard2 plots in Phase VIII was recorded to be PKR 33,023,756 and today (December 31, 2015), their value rests at PKR 4,137,717. If you had bought your property back then, you should know that you are richer by PKR 8,353,414. In terms of percentage, the figure is no less impressive at 25.30%. The stats for Phase VII are also striking as average value of the same sized plots here increased by 24.24% in 2015. The average sale price of 500 yard2 plots, as recorded on December 31, 2015, is PKR 40,048,387. Back in January, you could buy one plot for PKR 32,235,294; cheaper by more than PKR 7.8 million. In Phase VI, the current average value of 500 yard2 plot is recorded at PKR 50,939,759, which back in January 2015 was PKR 41,418,605. The average price rise recorded during the year for Phase VI is 22.99%. I would not hesitate to conclude that the current streak of price hike rests on the back of improved security conditions in Karachi. We had seen a large number of families from Karachi finding it safer to move to Lahore and Islamabad in the past. God forbid, if peace can’t prevail here, migration will always remain an option for them. So Karachi needs to be more peaceful to sustain this growth in the real estate market and of course in all other walks of life. Let’s hope authorities working to ensure and improve the city’s security are on the same page.